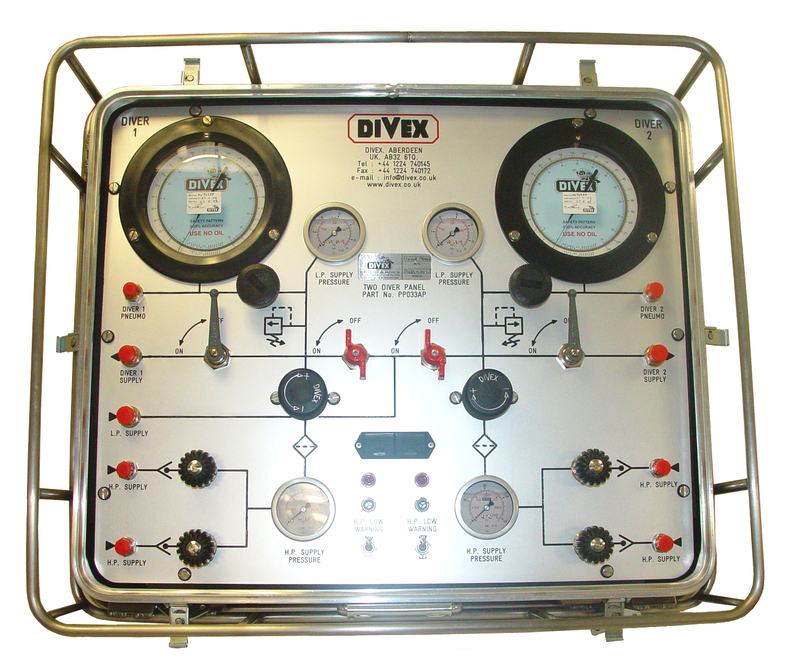 The Divex bumper HP/LP control panel is fitted with a stainless steel “wrap around” protective frame making it ideal for exposed site conditions and convenient for hanging in dive control cabins. Based on the standard Divex two diver high pressure (HP)/low pressure (LP) air control panel, the bumper panel is designed to support air diving operations to 60 metres (200 feet), each diver has an independent breathing air supply which is in accordance with the Association of Diving Contractors guidance note ADC 5/95. An electronic audio / visual alarm is fitted and alerts the surface tender when the HP air supply falls below a preset level (50 Bar).